Wireless Festival 2014 headliner Bruno Mars. Some of the biggest names in pop and dance music are set to headline this years Wireless Festival, and for the very first time, the event is coming to Birmingham! Taking place between Friday 4-Sunday 6 July 2014, the three-day spectacular will be taking place in both London and Birmingham, with Perry Park the site for the West Midlands' stint. And what a line-up it is, with the mighty Kanye West, Rudimental, reformed Outkast and multiple chart-topper Ellie Goulding all taking to the stage. Further acts to be announced. The UK chart-topper follows her sell-out spring tour with a Wireless appearance. While Outkast are also set to headline Bestival, on the Isle of Wight, Wireless will be Kanye and Bruno's only UK live appearances of the year. Ellie Goulding started the year on a high. Her million-selling album Halcyon Days hit no.1 and she's officially the second-biggest selling artist in the UK in 2013 - having amassed over 2.5 million sales. Meanwhile, her UK Arena tour in March has completely sold out. Interestingly, Drake's recent album, Nothing Was The Same, features Jay Z on the track Pound Cake/Paris Morton Music 2, which also contains elements from Ellie Goulding's Don't Say A Word. The line-up for the festival was officially announced at a special Wireless Launch Party on 28 January at Birmingham's O2 Academy. Among those appearing were rising UK star, Ella Eyre. The BBC Sound of 2014 shortlisted singer is best known for her collaborations with Rudimental (no1 single, Waiting All Night). She's also worked with both Naughty Boy, Wiz Khalifa, Bastille and Tinie Tempah. Rudimental also helped launch the career of Yorkshireman John Newman, who guested on Feel The Love - another no 1 track for the quartet. 2014 marks Wireless' 10th anniversary with previous headliners including Justin Timberlake and Jay-Z (2013), Rihanna and Drake (2012), and Black Eyed Peas and Pulp (2011). The very first festival featured Basement Jaxx, Moby, New Order, Keane and Kasabian. The London version of the festival will take place in Finsbury Park for the first time with Kanye (Fri), Drake (Sat) and Bruno Mars (Sun). Tickets go on sale at 9am on Friday 31 January 2014. Birmingham – From £62.50 per day (early bird) or £160 for the full festival (early bird). 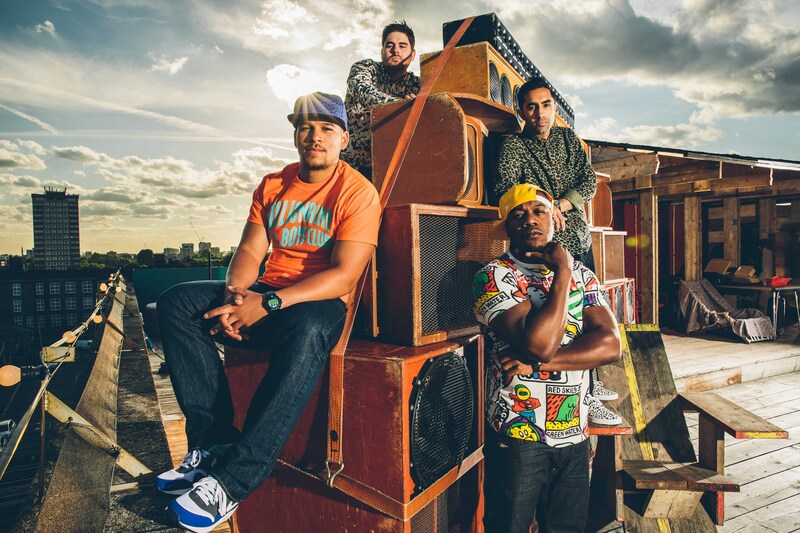 Rudimental, the act that also launched vocalist John Newman. Why? The party comes to Birmingham for the first time. Cost: From £62.50 per day/ £160 3 days, plus fees.